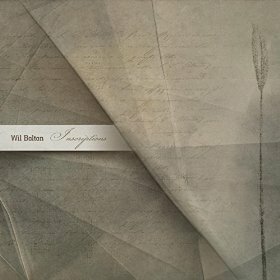 Wil Bolton’s music is part of the texture of my world. I always enjoy his releases to one degree or another, but a handful of them have risen from “this is nice” to “this is one of my favorite things”. The expressive chimes of Time Lapse and Chimes for a Wall Drawing call forth wonder and remain in my listening rotation years after their release. 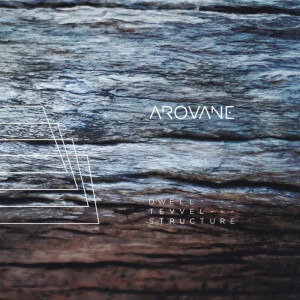 Germany’s Arovane has been putting out some striking ambient material of late, including the recent dwell_tevvel_structure on the UK label …txt recordings. I have no idea what a tevvel is, and neither does Google; it’s an anagram of velvet and bears a passing resemblance to the Dutch teviel (“too much”), but who knows if that is relevant. 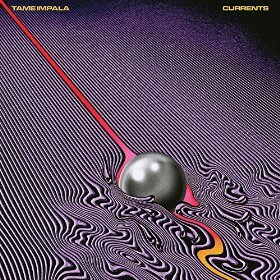 Dwelling, in the sense of settling down and taking time, and structure, here in the form of careful layers of sound, are both terms that illuminate the music on this album. The album consists of four long sound pieces (ranging from 14 to 20 minutes), each with its own distinct character yet tied together sonically in an arc that suggests four movements of a whole. The first opens with a gently undulating drift and fluttering patters of brightness – perhaps it’s the cover art, but I find it hard not to think of sunlight sparkling on waves. 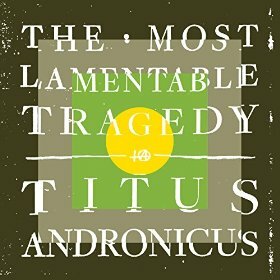 The Most Lamentable Tragedy is a double, concept album focusing on a protagonist dealing (like Titus Andronicus frontman Patrick Stickles) with mental illness. Stickles has been actively working on TMLT for about the last 4 years, but in many ways the album has been foreshadowed (both thematically and musically) for the band’s entire existence. Lyrically, TMLT is dark and beautiful, despairing and hopeful, and will move many to tears. 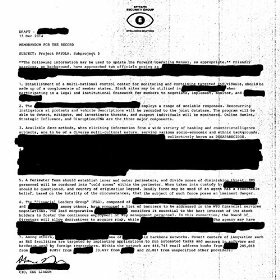 Divided into 5 parts, the lyrics follow the unnamed person through all the ups and downs of manic depression: Breakdown, treatment, prescriptions, the highs and lows that still affect everything you do, and how to connect with your loved ones who, despite their best efforts, can’t begin to understand what you’re going through. Mostly, though, the album is about the internal war between a person and himself, and this war does not have a happy ending. The best known Syrian dabke wedding singer, now based in Turkey due to the Syrian civil war, is back with his second studio recording following 147,692 (number approximate) tape releases in his native country. 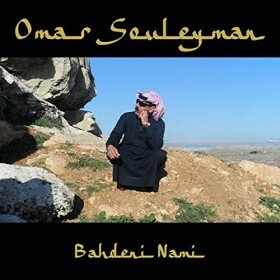 Souleyman, who uses electronics and his soulful voice to craft fun, incredibly danceable tunes, again worked with Four Tet’s Kieran Hebden on Bahdeni Nami and the album does not disappoint. Souleyman’s lyrics are, of course, in Arabic, so very few native English speakers will be able to understand them, but the sound of his voice blends so well the music’s high pitched keyboard sounds that their meaning is really irrelevant. All that matters is the music irresistibly makes hips shake and heads bob. 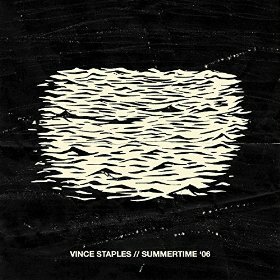 Summertime ’06 starts with intro track “Ramona Park Legend Pt. 1”, 35 seconds of idyllic southern California beach sounds mixed with a light beat. There are waves crashing, a baby cooing, and a lone seagull. The 36th second is the sound of a gunshot. From there Summertime ’06, Staples’ debut full length (double album actually), opens up into a 13-year old Staples’ world trying to navigate growing up on the streets in the title season. Staples has an easy flow, has no trouble sitting in the pocket of a beat, and even when a guest appears he never really turns the album over to anyone else. This is without a doubt Staples’ memory of coming of age in a gangsta world. Unlike YG’s My Krazy Life, which thrived in the gangsta life, or Kendrick Lamar’s good kid, m.A.A.d. city that chaffed against it, though, Summertime ’06 simply tries to survive within its world. Like those albums, however, Summertime ’06 seems destined for the West Coast rap pantheon. Conor Oberst is a busy man. He has his solo work, he’s the frontman of Bright Eyes, a member of Monsters of Folk, a founder of Saddle Creek Records, etc. etc. etc. His hardest hitting job, though, is as the front man of punk band Desaparecidos. The band was originally formed in 2001 and released Read Music/Speak Spanish the following year before disbanding. In 2010, the band reformed and started releasing occasional singles, which have been compiled (and added to) on Payola, an album of 14 2-3 minute bursts of pure punk rock. A listener who goes into Payola expecting the gentle sounds and confessional lyrics of most Oberst projects will be taken aback by the distorted guitars and political ideas, but Oberst isn’t posing here. 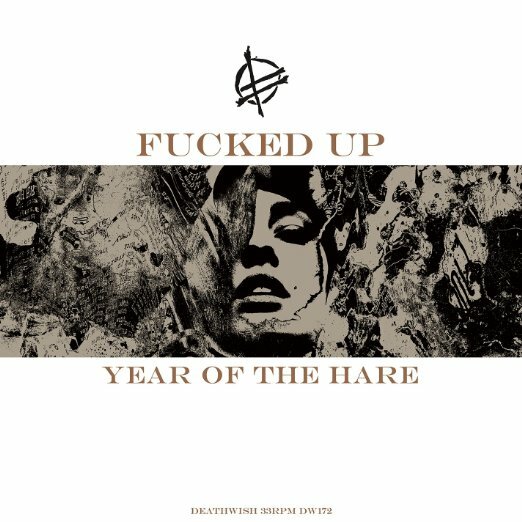 He commits fully to the punk ethos and creates a record with depth, breadth, and a whole lot of fun. In the middle of the organized chaos that is the Soundset festival we had the opportunity to sit down with Twin Cities rapper Manny Phesto. Born and raised in South Minneapolis, Manny made headlines last fall when “Manny Phesto for Minnesota” campaign signs started popping up in yards. He wasn’t actually running for any office, but instead used a write-in campaign for all of them as a DIY get-out-the-vote push (according to his website he received votes for Sheriff, Governor, Secretary of State, Attorney General, and several judge positions). 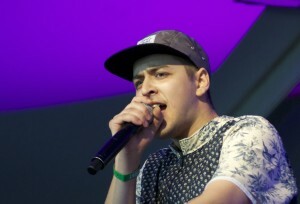 Manny brings the same combination of irreverence in support of serious issues to his music, especially on debut album Southside Looking In released in April of last year. Our conversation touched on everything from political hip hop and soul samples to what South Minneapolis represents.